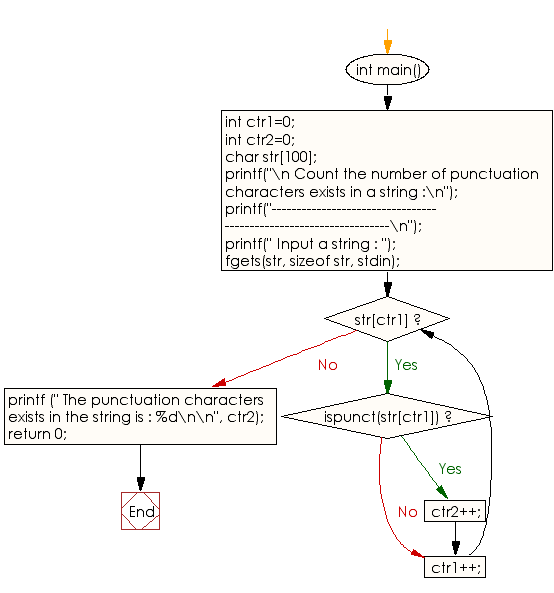 Write a program in C to count the number of punctuation characters exists in a string. 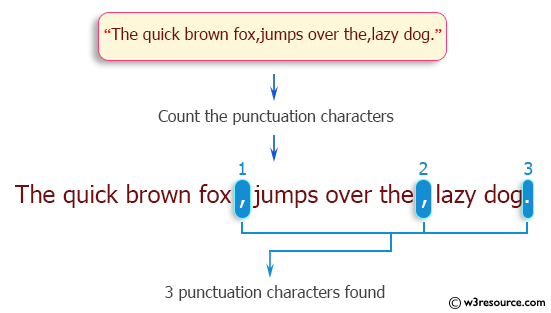 Input a string : The quick brown fox,jumps over the,lazy dog. Previous: Write a program in C to replace the spaces of a string with a specific character. Next: Write a program in C to print only the string before new line character.